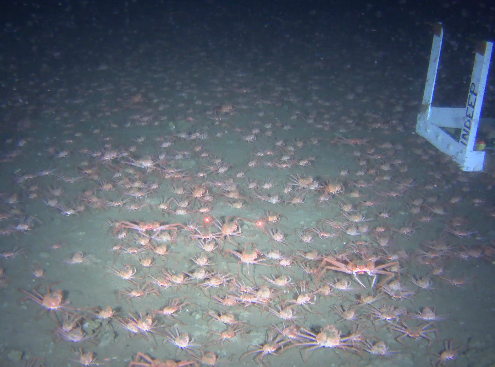 CORVALLIS, Ore. – Researchers have documented a group of tanner crabs vigorously feeding at a methane seep on the seafloor off British Columbia – one of the first times a commercially harvested species has been seen using this energy source. There are many implications, researchers say, and surprisingly most of them are good. 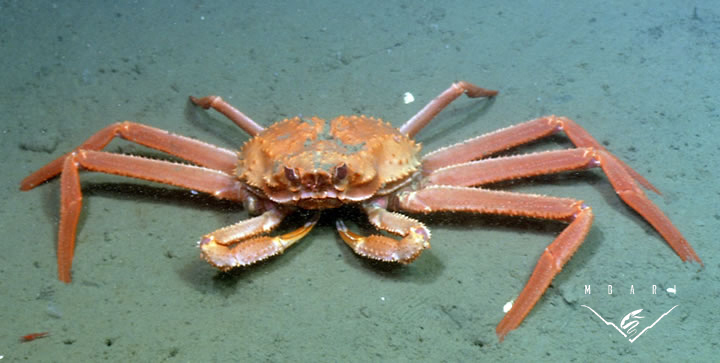 Human consumption of tanner crabs – one of three species sold as snow crabs - that feed on methane-eating bacteria and archaea should not pose a health concern because methane seeps are not toxic environments. The discovery actually may mean that methane seeps could provide some seafloor-dwelling species an important hedge against climate change – because nearly all models predict less food will be falling into the deep sea in coming years. “Tanner crabs likely are not the only species to get energy from methane seeps, which really haven’t been studied all that much. 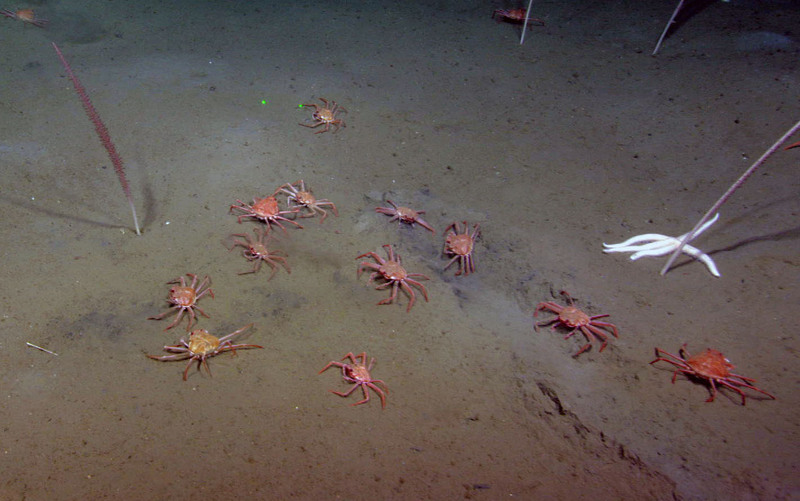 We used to think there were, maybe, five of them off the Pacific Northwest coast and now research is showing that there are at least 1,500 seep sites – and probably a lot more. Other commercially harvested fish – especially those in deeper waters – have been observed frequently near methane seeps. These include the longspine thornyhead, which is commercially important species for export to Japan; the Patagonian toothfish, also known as the Chilean sea bass; and the orange roughy off New Zealand. Pacific sole and black cod (sablefish) have also been seen off the Oregon coast near methane seeps.